See, there’s this long, hard to read, two-volume book on my bedside table. It’s been there for almost two years. I’ve been meaning to read it. It’s an important book—a touchstone for five hundred years of Protestant theological discussion. I’ve used it as a reference at various times, but I’ve never read the whole thing cover to cover. I really want to. And I really should. It’s not that I’ve never read long, tough stuff. I did it during my seminary education in ’88-90. Then I had to read 2,000+ pages per class. I managed it then. But, I don’t read like that now. I gravitate toward simple, entertaining stuff, not mind-stretching stuff. I rarely plunge into complex novels, or biographies, or history, philosophy, business, theology, social commentary, or politics. I only read five such books last year if you count the two audio books, plus a half-dozen EarthSea novels by Ursula LeGuin (which are great, btw). This year, I have three non-fiction books under my belt so far; an improvement, I guess. But the big one on my bedside table? Sixty pages is all I have to show for two years of good intentions. (Wow, I wish I had invented that word). What’s dysliterate? It means I’m an average modern reader: capable of reading, but generally preferring other activities, and not making time to read. And that’s a problem because reading promotes thinking and learning and discussing and growing. The intellectual, social, and psychological value of reading is well-known, well-documented, and frankly, needs no defense. And this down side can feel HUUUUGE if you, like me, were raised in a culture that values fun and entertainment above all else. In times past, entertainment was a seasonal event like a harvest festivals. After WWII, a new demographic emerged: the teen-ager. Those teens, armed with cars and money from the post-war economic boom found weekly entertainment at the drive-in, bowling alley, or skating rink. My own generation of the 60s-80s saw the rise of daily entertainment with the advent TV game shows and soap operas. But as technology became increasingly personal, in your hands and ears, entertainment became a minute-to-minute, cross-generational, ubiquitous addiction: Candy Crush, Facebook, Angry Birds, Twitter, Youtube, Instagram, War Craft, and SnapChat. There are lots of cards to shuffle in the deck of life. And if you’re average like me, the “entertainment” card gets sorted to the top an awful lot, to the detriment of all the benefits reading brings. > Ignorance is worthless–philosophically, and practically. 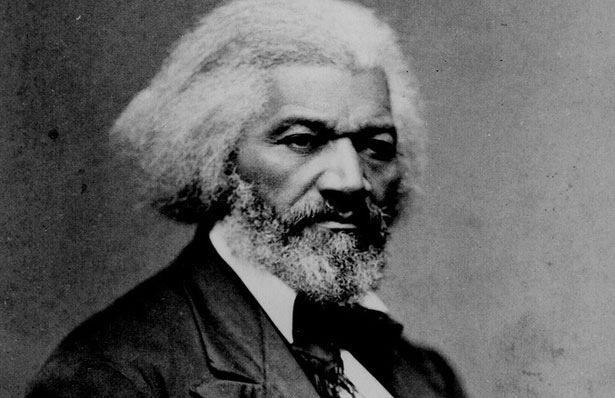 But, as Frederick Douglas observed, “Once you learn to read, you will be forever free.” Douglas assumed that if you could read, you would love to read. > I only listen to news on the radio during my commute. No TV news. > I don’t overdose on fiction, I mix it up with non-fiction. > I plan to read non-fiction from a variety of categories that will interest me _and_ challenge me. > I make an annual reading list. This way I still make progress, even if I don’t complete the list. > I occasionally listen to non-fiction audio books during my commute. > I listen to a few good instructional podcasts as well. I love The White Horse Inn. I share your desire – and dilemma! We have so many distractions and not just entertainment. Sometimes I’m overwhelmed by the sheer volume of available things to read and have to be careful that I don’t neglect the most important Book of all. Then of course comes the need to “exhale” via journaling or some other outlet, lest I become “puffed up” with knowledge (1 Corinthians 8:1). I’ve tried to read Jonathan Edwards, John Owen, and Charles Spurgeon and just hit the wall a few chapters (or sometimes pages) in. But I have determined I will not simply “conquer” a book just to say I did it. If you find any solutions, I’m all ears!!! No solution better than mutual encouragement. Thanks, Roger! Oh MY! This is one awesome post! Thank you Lon for writing it so well! I may grab few of your quotes and pass them along. I so believe in the gift of reading, the gift of thinking, as a cult survivor. Cults and fad religious movements seem to gobble up people who are lost in ignorance, thank you! Thx Patricia! I’m glad you pointed out another danger of the ignorance trap.